“Being happy never goes out of style.” This is a quote that inspires senior, Allison Jones, and if you know Alli, you know she lives by it. Alli is the daughter of Clint and Dani Jones of Waterville, KS. Throughout high school Alli has been involved in Cheer, Forensics, Scholars Bowl, Choir, NHS, Art Club, Volleyball, and the All School Play. Out of these activities, Alli has shined in Forensics and the All School Play. She acted in the play for 8 years and was in forensics all years of high school. During the play Alli held one of the lead roles almost every year. Alli also made is to state in forensics every year she competed. Cheer is another activity that Alli was a leader in. For her senior year, Alli was selected as captain to lead the squad. She really enjoyed cheer because she loved supporting the mustangs and because she excels at being loud. Alli was also a leader of the school, being an NHS member and highly respected. Choir was also a major part of Alli’s high school career. She made it to state in choir three years with her solo, and four years overall. This year for her senior service project, Alli volunteered at Colt’s Round Up at the Waterville Grade School, and at the Blue Valley Senior Living complex. During her time at Colt’s Round Up Alli interacted with kids and implemented STEAM activities. While at the nursing home, Alli would sing and play music on the Ukulele for the residents. Alli really enjoyed her service project because it helped her become more comfortable and confident when interacting with others. Alli learned that the small things can make all of the difference to the young kids and also the elderly. 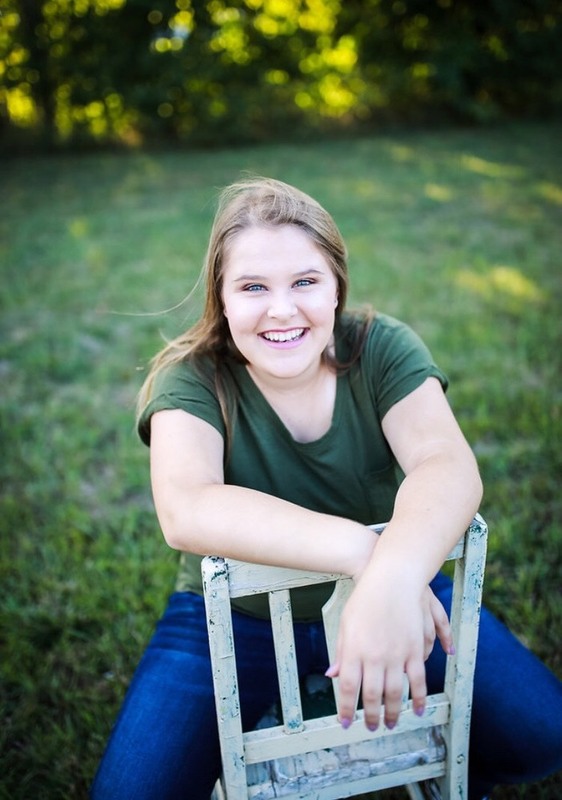 After high school, Alli plans to attend Emporia State University and major in Speech and Theatre Education. She hopes to be remembered for her constant smile, contagious laugh, and compassion.